Roofing materials are an important factor to take into account when building or buying property. Your roof provides you with protection, safety and insulation and can have detrimental effects on your health if the materials utilised are not chosen correctly. 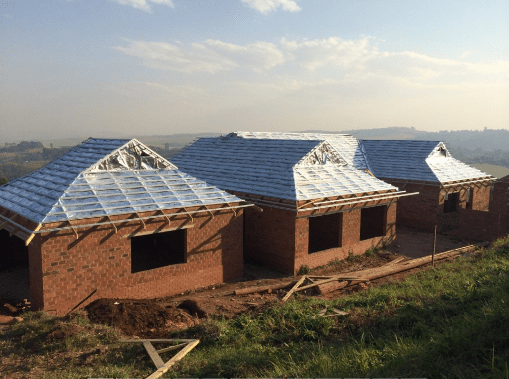 Dezzo Roofing are exceedingly concerned with the safety and security of our clients and their roofs and feel it is crucial that, as roofing specialists, we inform people of the factors to consider when purchasing materials when building roofs. It is important to understand that a material that works on one roof, may not have the same effect on another roof which brings us to our first important factor; the style of roof. Different styles of roof will make use of different types of roofing materials and so it is important that you understand and are aware of what style of roof you are going for in terms of appearance, shape and angle. Alongside style comes location. Now we all know that roofing materials are subject to constantly changing weather conditions, monkeys, birds and construction meaning you would need to evaluate your location in order to choose appropriate roofing materials. Specs and requirements of roofing material will vary depending on a client’s location. For instance, if you live in an area where there is heavy rain or even snowfall then it is advised that you avoid a flat roof where snow and water can collect causing rot, leaks and other serious damage, it is also advised that you avoid using soft roofing materials such as clay which will absorb water and can become easily damaged sooner than you thought; bringing us to our next factor for consideration, duration. Believe it or not roofing materials have a shelf life which means that when choosing your roofing materials it is imperative to consider a roofing material that is long-lasting and best suited to your location. When assessing your roofing requirements be sure to contemplate materials that are going to provide you with long-lasting wear according to your location and style of roof. Building can be a costly experience which brings us to our next factor. Be certain to review your costs and budgets for roofing materials. Not only will this allow you to choose a material that is within your budget but it also enables you to eliminate the options of roofing materials you can choose from, making your decision a lot easier. Apart from this reviewing your costs will identify whether or not you are giving yourself effective roofing material options for the specific style of roof or whether or not you need to increase your budget to ensure you are choosing the correct roofing material for your location. 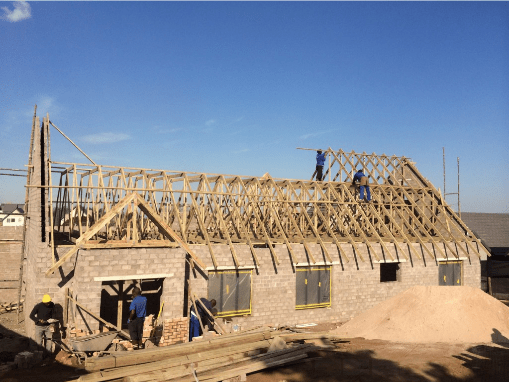 As you can see there are a number of vital factors to consider when choosing your roofing materials and we at Dezzo Roofing are here to help you every step of the way. Give us a call on 031 713 6571 and we will be sure to assist with any queries or concerns when it comes to your roof.